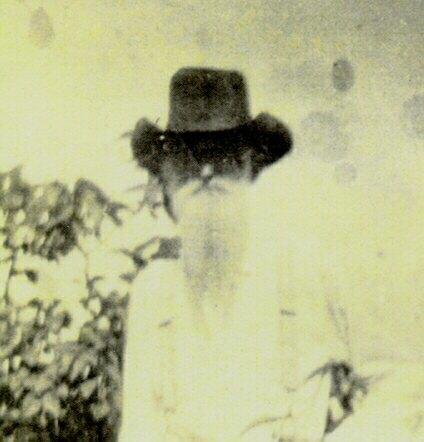 My Great Grandfathers -- truly GREAT! 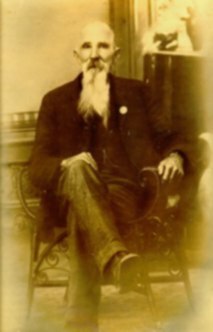 Although he was older than most of his fellow volunteers, he enlisted in the service of the Confederate States of America in the 14th Texas Infantry which served in Louisiana in defense of Shreveport and Texas. Many of the letters he wrote to his wife Martha during the war have been preserved by the family and offer valuable insight into the way of life which he was defending. My grandmother, Lula was the youngest child of J. H. and Martha. 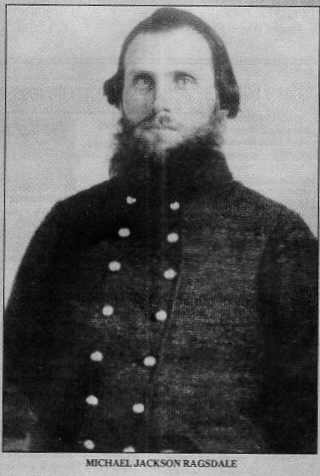 While the company was in Chattanooga, shortly after their enlistment, the original captain died of illness, and the men elected Michael as their captain, in which office he served throughout the war. After fighting all across the Tennessee-Kentucky campaigns, he was among the defenders of Vicksburg who finally surrendered on July 4, 1863. Even after being paroled, M. J.. was still active in the defense of Atlanta, a city much nearer his home. After the war, and following the death of his mother, M. J. with his wife, Lucindia Caroline (Kay), and 4 children led a group of neighbor families to new homes in Coffeeville, Texas. While my grandmother, Emily Jane, was a small child, he served in the Texas State Legislature. William W. Williamson was born in Giles County, Tennessee. While he was still a child, his father died and a few years later he moved with his mother to Coffeeville in East Texas. He was noted to be a man of deep Christian faith, and died in 1924 while visiting his son, John to attend a revival meeting in Ore City--in the very house pictured in the home page. John was my grandfather and the home we are now living in was built for him and his wife Lula in 1910. The family of John J. Spratt were pioneers in the Charlotte, North Carolina area, but he was born in Tennessee before his father brought the family to Upshur County, Texas where they settled near the Murray League community. He enlisted in Company 'D' of the 10th Texas Cavalry which became a part of Ector's Brigade and fought at Chickamauga. On September 19, during the opening day of that battle, he was captured by Federal troops and sent to Camp Douglas, a notorious prison near Chicago where he remained until the end of the war. 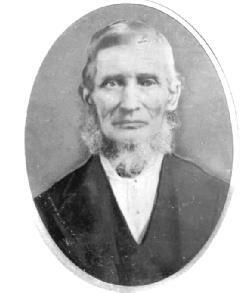 His father-in-law was Williamson Simpson Oldham who was a senator from Texas to the Confederate government. His brother, Joseph M. Spratt, was a captain in the 19th Texas Infantry. Joseph M. Spratt never married so had no descendants. John J. named one of his sons, Joseph M. This was my grandfather whom I knew well, as, indeed, I knew all of my grandparents here in Ore City.